Over the past few years, new businesses have popped up in Burlington's South End neighborhood like morel mushrooms in early May. Several entrepreneurs are seizing Vermont's gastronomic moment with gusto, such as the folks behind Citizen Cider, South End Kitchen and the soon-to-open Zero Gravity Craft Brewery. But a new operation harkens back to the days when manufacturing was common along the Pine Street corridor. A few doors down in the same renovated warehouse that houses Feldman's Bagels, a small black mailbox is next to a nondescript door. On the mailbox, in the kind of small, cheap lettering available at any hardware store, are the words "Burlington Record Plant." Inside, at the end of an L-shaped, high-ceilinged and still-under-construction industrial space, stand Justin Crowther and his older brother, Noah Crowther. They listen intently to Davor Amrain, 50, a man with salt-and-pepper hair sitting in a chair and adjusting a futuristic-looking control panel. This is next to a stout metal contraption that looks like it weighs a few tons and was manufactured before anyone in the room was born. Justin, 33, turns around and points to the burly antique. "This is the first record press I bought," he says with a wide smile. "It's from the 1950s. And Devor found a new set of controls that improves a lot over the old ones, which didn't work anyway. How great is that?" The Crowther brothers are probably best known in the Burlington area as the rhythm section in Waylon Speed. 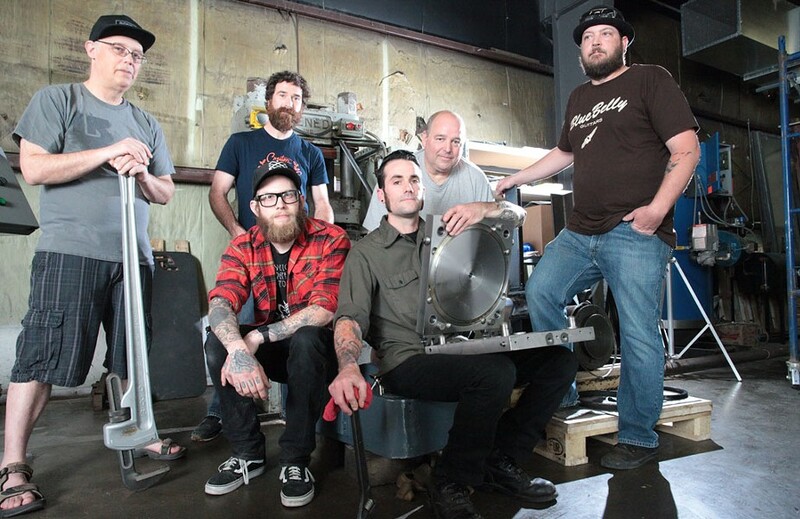 Now they're partners on one of only two new vinyl record pressing plants to open in the United States this year. Yes, you read that correctly: a vinyl record pressing plant. Before any misguided thoughts about hipsters waft through your mind, read on: According to Nielsen SoundScan, vinyl LP sales increased 517 percent between 2007 and 2013, to 6.1 million units. In 2014, sales were up another 52 percent. 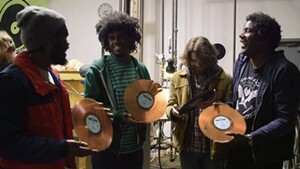 Currently, there are just 16 record pressing plants in the U.S. And all, according to Justin, are "months behind" in production due to consumer demand. That means there's money in pressing LPs in 2015. The idea to go into this business was the closest Justin has ever had to a revelation, he says. One morning after a 2014 Waylon Speed show in Dover, N.H., the brothers were looking through a friend's vinyl collection, reminiscing about listening to records on Saturday morning when they were kids. "Yup. Saturday morning, Zappa on the turntable," says Justin. "And, sitting in our buddy's basement, it came to me. New England doesn't have any options for pressing vinyl. There's nothing in Vermont. And our town could use something like that. I knew right then I wouldn't stop until we made it happen." "The hair on his arms actually stood up on end," remembers Noah, 38. "He said, 'I have an idea.' It was a real moment." For years, Justin Crowther had made his living doing maintenance, working for Seven Days as a delivery driver and occasional freelance writer, and playing in bands. He craved a calling that would pay the bills and give him the chance to tour when he needed to. After his revelation in New Hampshire, he began researching record manufacturing. He also added an international plan to his phone and began calling people all over the world. As Justin searched the web and made phone calls, he found a tight-knit community of hardworking enthusiasts who kept information close to their vests — at least until they realized he was serious. Justin worked with the Vermont Small Business Development Center for a year, crafting a business plan. Once he found his first press and some other equipment in Europe, he even waited for the value of the Euro to drop a bit so he could get a better price. "I was waiting, and then the guy who owned the press, who used to oversee vinyl production for Warner Brothers in Europe, said, 'What you don't understand is, this is potentially some of the last equipment on the planet,'" Justin recalls. "So I pulled the trigger." Here's the reason for the global search: No one has manufactured record presses for decades. With the introduction of the compact disc in the mid-1980s, vinyl pressing went into a slow decline. By the late '90s, many presses were sitting unused in closed factories. There was no demand for new machines. So when vinyl sales began to heat up again in the past decade, American pressing plants began expanding for the first time in years. More presses had to come online to keep up with demand, which meant a run on dormant machines and parts — not just in the U.S. but all over the globe. 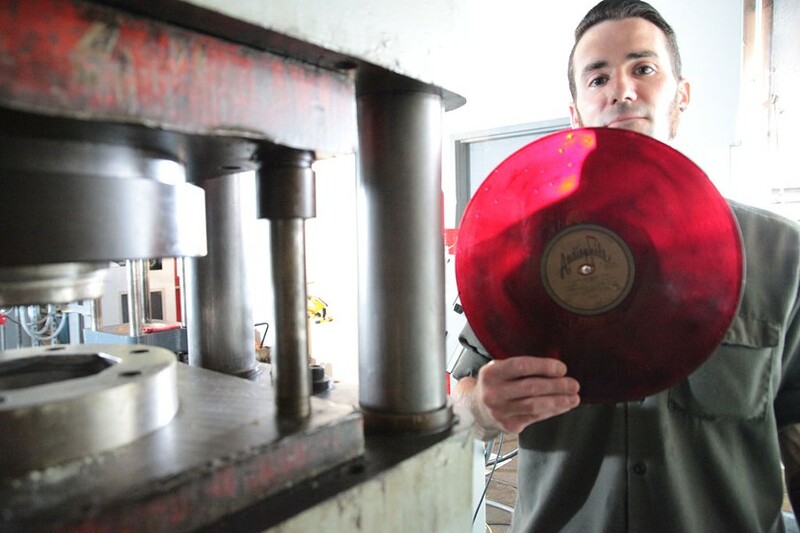 Recently, an eBay auction listed an abandoned vinyl pressing plant in Zimbabwe. The asking price? A cool £160,000 — or close to $250,000 U.S. It sold. It's been a long year for Justin Crowther, buying more equipment — including two more presses — and finding local talent like Amrain to help him understand how to refurbish and operate the machines. He also visited several pressing plants in the U.S. while on tour with Waylon Speed, and spoke with labels about contract work. Reps from Merge Records, known to music fans and industry folk as an iconic indie label that's released albums by Arcade Fire, the Magnetic Fields, Spoon and Neutral Milk Hotel, even came to Vermont to see the Crowthers' space and talk shop. Justin says he's "about 60 days away" from his official opening. He and Noah are excited about testing the presses — and they have just the right record for the task: Waylon Speed's latest long-player, Kin. "We knew we wanted to press Kin when we released it last year," says Noah. "But we couldn't at the time. We're so excited to use it as our first experiment." Justin Crowther appears to have covered all the bases as he gets ready to open shop later this summer, though he admits there's still work to do. He lauds the mentors he's found in the business who have been "unbelievably generous," he says. And he's proud to be creating a local product and representing Vermont. Justin Crowther pauses for a moment, a wide smile on his face. Then he says, "Man, I can't wait to get started." The original print version of this article was headlined "Pressing Matters"